Windows 10 for Phones Build 10074 (10.0.12555.74) screenshots got leaked online now. The leaked screenshots reveals app listings in the new Store app, Start screen customizations features like the ability to adjust transparency of Live Tiles, rearranged settings menu and more. Find some of the screenshots below. Android apps on Windows Phone–what does it mean? 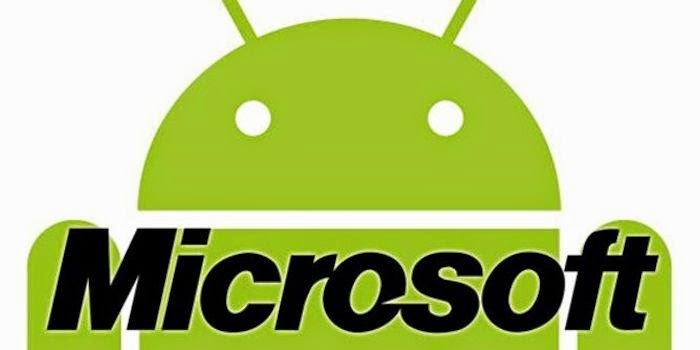 Microsoft today revealed that all Windows Phones will have an Android sub-system which will allow Android apps, submitted to the Windows Phone Store, to run on the Microsoft handsets. The technology is called Astoria, and will allow Android apps to run mostly unmodified, usually without having to recompile for Windows Mobile—as long as the APK sticks to the APIs that Astoria will provide. The Android layer will offer support for many Android APIs, including some Google ones like Location services, but will not offer 100% compatibility. On the other hand, it will also provide some unique APIs like Cortana to Android developers. In short, the technology will not change Windows Phones into Android handsets, but there is a significant risk that Windows Phone developers will develop Android apps as their universal language and platform, and thereby serve both the Windows Phone and massive Android ecosystem. In many ways, this technology is a lot closer to Paul than Tom’s predictions. What do our readers think of this move? Let us know below. Microsoft today announced a new feature that is coming in Windows 10 called Windows Spotlight. Any user can turn on/off Spotlight feature in their Windows 10 PCs. When it is turned On, it takes over the lockscreen. Instead of static images all the day, Spotlight offers suggestions to users on Windows features, apps in Windows Store and more. For example, take a look at the lockscreen above. It suggests users to try Fresh Paint app. It learns as the user start using their Windows device and offers suggestions accordingly. Microsoft today announced the single most attractive feature that will be coming to Windows 10 for phones. Continuum for phones is here. What is it? 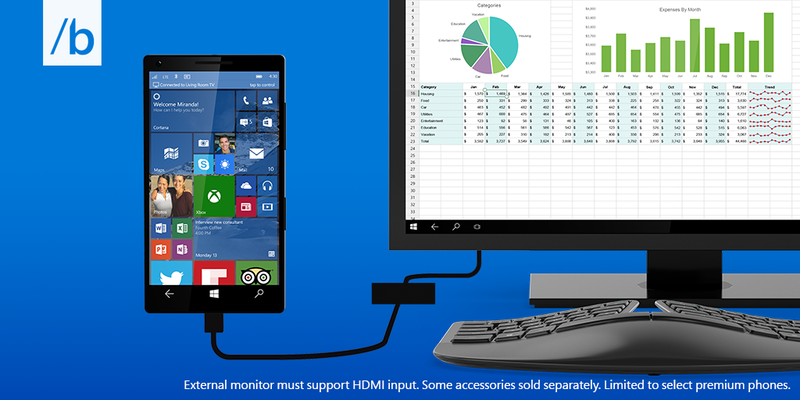 You can start using your Windows 10 phone as a PC by connecting it to a display with a HDMI support. Yes, you can use all the phone apps on your big display. If it is a universal Windows app, you will have even better experience. For example, Word app started on a big display will have UI similar to Word app running on a PC. Users will be able to use their phones as mouse pads, or actual bluetooth mice and keyboards. This is also an attractive feature for developers to write a Windows Universal apps instead of an app ported from Android or iOS code. Unfortunately the feature needs new hardware which supports dual-screens, and so will not come to existing handsets. It is not clear at this minute if x86 Windows Phones will be able to run desktop software, but this seems unlikely. Will this feature be enough to encourage our readers to upgrade? 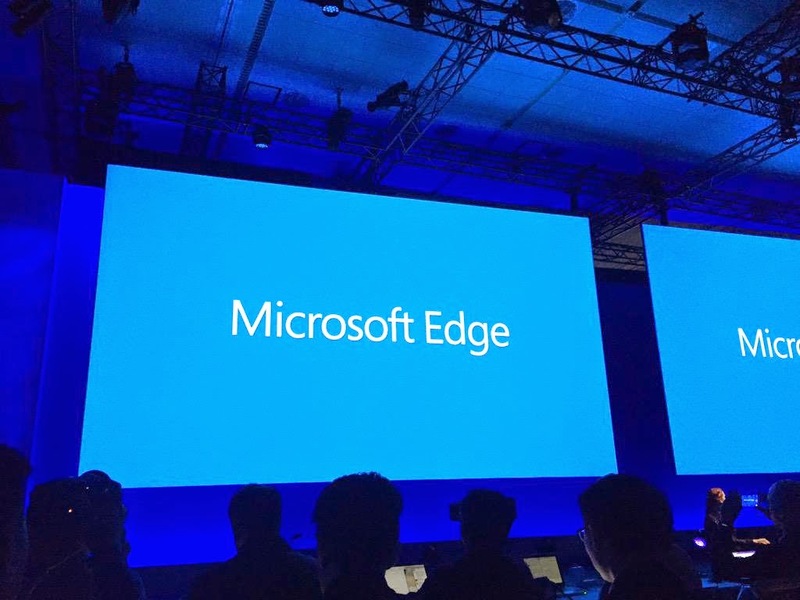 At Build 2015, Microsoft has just announced that Windows 10 will be able to run Android and iOS apps. 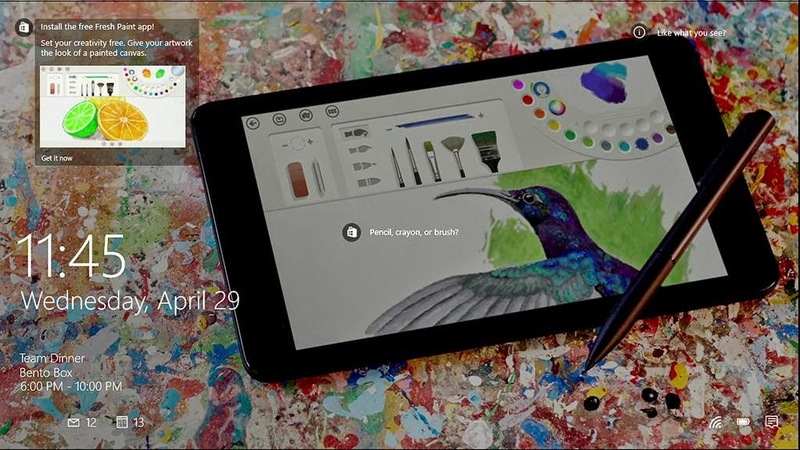 Android and iOS apps developers will be able to port their apps to Windows 10, as universal apps. For example, Android developers will be able to use their Java/C# code to bring their Android apps to Windows 10 as universal apps. On the other hand, iOS developers will be able to bring their Objective-C code apps to Windows 10 as universal apps. This is indeed a huge addition to the Widows eco-system. It’ll be interesting to see if developers are willing to port their Android/iOS apps to Windows 10 – which will, of course, increase their app’s growth. Microsoft today announced 4 new ways to leverage your existing skills to bring applications to the windows store. 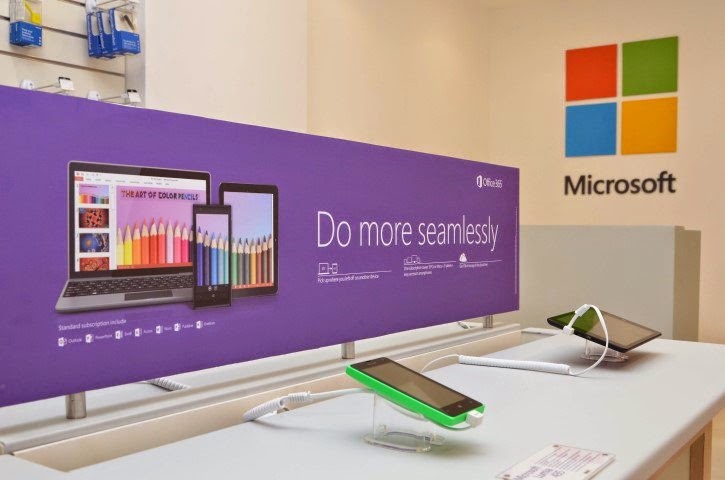 1) Web – You can easily convert a website into a Windows Store app. When running in a Windows app frame, the website can take advantage of Windows runtime APIs. 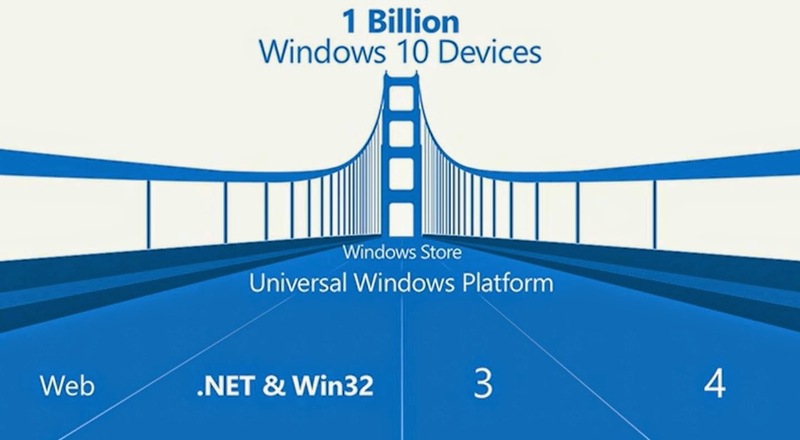 2) Win32 apps – You can now easily bring Win32 apps to Windows Store with new universal APIs. 3) Android (Java and C++) apps – Windows will have an Android sub-system that runs Android apps. 4) Objective C support – Yes, Objective C code that is being used for iOS can be used for Windows Store app.